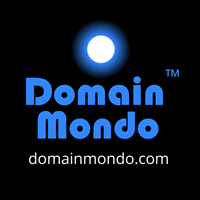 Domain Mondo's weekly internet domain news review (NR 2018-12-02 with analysis and opinion: Features • 1) Another ICANN New gTLD Disaster: .AMAZON, 2) ICANN news: EPDP Team Meetings Dec 4 & 6, and the EPDP Initial Report, 3) Names, Domains & Trademarks, 4) ICYMI: a. China & WTO, b. US vs Assange, c. France vs Google, d. Russia vs Google, e. Dragonfly, 5) Most Read. "I am writing to you as ICANN’s CEO and President, to inform you of some issues and facts related to the facilitation process associated with the application for a .AMAZON top-level domain. As you are aware, ICANN has been conducting this facilitation process consistent with and according to the ICANN60 Government Advisory Committee (GAC) communiqué advice with the participation of the Amazon Cooperation Treaty Organization (ACTO) and Amazon, the corporation (Amazon Corporation [sic]) and the applicant for .AMAZON. I will refer to myself throughout the letter as ICANN’s CEO. "Unfortunately, at this time, we regret to inform you that this facilitation process has been unsuccessful. The facilitation has not been able to reach its desired conclusion. I was hoping to meet with the ACTO countries in Bolivia following an invitation from ACTO’s Secretary General. This visit and meeting were scheduled for 29 November 2018. I was hoping to be able to explain any misunderstandings and or statements made by ICANN which might have been misinterpreted, during that meeting, however, we have received a letter dated 22 November indicating that the ACTO Member Countries requested that this scheduled meeting be postponed ...."
and Dec 3, 2018, letter from ICANN Board Chair to HE Jacqueline Mendoza (pdf). Zombie .BRAND TLDs--DOHA and ZIPPO Make Forty Five--"... it does make me wonder how much other destroyed value is hiding in new TLDs. The zone files for over 500 active new [.BRAND] TLDs contain less than 10 names each, even though each is paying the ICANN fixed fee of $25,000/yr. That's $12.5 million of ICANN's budget from zombie TLDs. No doubt a few of those still have plans to do something, but even so, we're looking at a lot of failures." --John Levine. "... That is also why I believe we need to move away from the false possibilities we are currently offered, whereby only two models would exist: that, on the one hand, of complete self-management, without governance, and that of a compartmented Internet, entirely monitored by strong and authoritarian states. To be very politically incorrect, we are seeing two types of Internet emerge: as I said earlier, there is a Californian form of Internet, and a Chinese Internet. The first is the dominant possibility, that of an Internet driven by strong, dominant, global private players, that have been impressive stakeholders in this development, that have great qualities and with which we work, but which at the end of the day are not democratically elected. Personally, I don’t want to hand over all my decisions to them, and that is not my contract with France’s citizens. That is the self-management model, but it doesn’t really have any governance and it is not democratic. On the other side, there is a system where governments have a strong role, but this is the Chinese-style Internet: an Internet where the government drives innovations and control, where the major players in artificial intelligence are held by the government ... We do a lot with China, but we do not have the same democratic preferences, we do not have the same cultural references on all subjects, we do not have the same relationship with individual freedoms – that is a reality. And so in that Internet, the state has found its place, but it is hegemonic. We therefore need, through regulation, to build this new path where governments, along with Internet players, civil societies and all actors are able to regulate properly ... What we need to do is learn to regulate together, on the basis that all Internet players, including civil societies, private actors, NGOs, intellectuals, journalists and governments, are co-guarantors of this common interest that should drive us precisely to work in cooperation. And it is no coincidence that the notion of “commons” has seen such success in the digital era. The Internet, the depth of data and knowledge hosted by it, and the essential services it gives access to, are collective treasures that we need to manage together in order precisely to pass them on to future generations. And so it is here that we need to invent a new multilateralism both suited to the reality of cyber space and effective. That is why I am here today to propose a new collegial method ..."
Editor's note: indeed, there has to be a better way than "the ICANN way." EPDP meetings Tuesday Dec 4 and Thursday Dec 6 starting 14:00 UTC (9am EST). Observers use Adobe Connect, or audio cast (browser or app). Action Item #1: EPDP Chair Kurt Pritz to edit the latest version of the EDPB (European Data Protection Board) letter and notify the GNSO Council that the EPDP Team will not send a communication to the EDPB at this time. Action Item #2: EPDP Team to provide any proposed updates to the draft Statement of Work to obtain independent legal advice on GDPR issues by the end of the week. Action Item #3: EPDP Support Team to send an email to the Team with a list of additional topics for discussion, and EPDP Team members who suggested or who would like to discuss the topics to provide the objective for the discussion in writing to the Team. Action Item #4: EPDP leadership to contact ICANN org or facilitate contact with ICANN org to gain their participation in the “Purpose O” discussion regarding processing data for ICANN research purposes. Tuesday's Agenda wiki page has links to the Meeting's Adobe Recordings. Meeting items included a proposed "Letter to the EDPB" (European Data Protection Board), review of topics #3, #4, #5 #6 (pdf) embed below, and Phase 2 work items (pdf). Chat Transcript (pdf). Dec 4th Meeting transcript here (pdf), high level notes and action items here. See also GNSO Council EPDP page and updates. Links to all EPDP meetings' transcripts and recordings are on the GNSO calendar. Other EPDP links: wiki, mail list, action items, Temp Spec, EPDP Charter (pdf), Data Elements Workbooks (pdf). Editor's note: I have started working on a comment to the EPDP Initial Report and hope to have more to say in next week's News Review including tips for anyone wishing to submit their own comment by December 21, 2018.
a. Over a million website domains seized in global operation | ICE.gov Nov 26, 2018: "More than 1 million copyright-infringing website domain names selling counterfeit automotive parts, electrical components, personal care items and other fake goods were criminally and civilly seized in the past year through the combined efforts of law-enforcement agencies across the world, high-profile industry representatives and anti-counterfeiting associations. The ongoing intellectual property enforcement initiative targeting fake websites, dubbed Operation In Our Sites, was facilitated by the National Intellectual Property Rights Coordination Center (IPR Center), a joint-task force agency led by U.S. Immigration and Customs Enforcement. The IPR Center, which stands at the forefront of the U.S. government’s response to IP theft, worked directly with key international law-enforcement authorities and industry organizations representing the electronics sector, luxury brand-name designers, film and entertainment and several entities specializing in apparel and accessories through the major enforcement effort ..."
b. HTTPS & Phishing Scams: half of all phishing scams are now hosted on Web sites whose internet address includes the padlock and begins with “https://”.--krebsonsecurity.com. c. New Zealand Domain Name Suspension 19 Nov 2018 | dnc.org.nz: "On 21 November 2018 the following domain names were suspended: wex.nz; wexbet.nz; wexcash.nz; wexcoin.nz; wxcash.nz; wxcoin.nz. "wex.nz and the associated domain names above, were displaying a cryptocurrency website. The names were suspended following the Domain Name Commission’s enquiries in to the accuracy of the registration details for each of these domains. The Commission initiated an investigation following complaints made to it. The Domain Name Commission has suspended the domain names for fake registration details in accordance with enforcing data validation measures under the .nz Principles and Responsibilities policy. The Commission wants .nz to be a safe, trusted and secure domain name space which is supported by its data validation process. The individual who registered the domain names was not able to verify their contact details - and having valid contact details is a prerequisite for any .nz domain name holder. If you are New Zealand based and have been affected by the cancellation of wex.nz and associated domain names - and have reason to suspect any fraudulent or criminal activity - we urge you to immediately contact your local Police station and report a crime or make a report via Netsafe https://www.netsafe.org.nz/report/ ." d. Does ICANN registrar accreditation protect registrants?--consumeraffairs.com. China opposes global e-commerce rules--China closer to India’s stance on developing global trade rules for e-commerce, opposing binding provisions for cross-border data flow, preventing data localization, and protection of source code. The US, Japan, Australia and Singapore, proponents of ambitious rules for global e-commerce, suffered the setback at the World Trade Organization (WTO) after China issued a strong statement--livemint.com. France Says Goodbye Google: Both the French National Assembly and the French Army Ministry have said their digital devices will stop using the Google search engine, but instead will use French search engine Qwant.com: Qwant is a search engine that respects your privacy and eases discovering and sharing via a social approach. But also see Breaking ground for Google’s first data center in Denmark | blog.google. Russia opens civil case against Google over search results--reuters.com. 90+ Google employees join Amnesty International in calling on Google to cancel Project Dragonfly, its censored search engine for China--medium.com.